This week I published a number of articles about free schools in Suffolk as a result of the response I received to a freedom of information request. If you missed the articles you can see them all here. You might be surprised to hear that actually I am not opposed to free schools. I just think that the schools proposed for Suffolk, in particular the Seckford Schools are unnecessary. It is not that they are free schools, I would be just as unhappy about them if they were proposed by Suffolk County Council. Suffolk is a county, as I have already reported with some 10 600 excess secondary school places. It is also a county where a very high percentage of parents get their first choice of secondary school. 97.2% in Suffolk compared to a national average of 85.3% and as low as 67.2% in London. The thing is that by and large parents in Suffolk don't have a "competitive and stressful" time getting their first choice of school. This, like much Government policy and its explanation, sounds like the experiences of London. Which is I think a huge part of the problem. Nick Gibb and others seem to at least understand the issues in London but I do not think they do in Suffolk. Far from encouraging other schools to raise academic standards the proposed Suffolk free schools are likely to have the opposite consequence. Staff will need to be shed, less choice of subjects offered and even sixth forms closed. Some schools might close all together as a consequence which is hardly enabling choice. The reasons for this are simple and predictable. There just aren't enough children to sustain extra schools. I think that competition between schools can mean they up their game and improve standards but that does not mean it always has this consequence. It could just as easily make schools get worse. And the numbers make that much more likely in Suffolk. But it is on the issue of transport that really shows that the DfE have no clue about rural education. They have constantly told Suffolk County Council they must pay for transport to the new Stour Valley Community School, the only free school actually open in Suffolk even if they don't meet the county's criteria. But this just won't scale and without transport to actually get to the schools there will be no choice for a great many children. Those, for example in the North of the Thuston pyramid might be forced to attend a new free school in Ixworth even if they would rather attend the outstanding Thurston Community College due to transport issues. It's frustrating to read emails where experienced local authority officers that understand the situation in Suffolk are either ignored by the DfE or worse still asked to change information for political reasons. I think the local authority is better placed than the DfE in London to continue as the principal commissioning body for schools. Indeed ironically Boris Johnson, Mayor of London, now the only place in England where decisions about schools are actually made in the same place as the schools are situated is actually campaigning to have strategic oversight of London schools. This does not mean I think the LA need to run all schools. They don't. 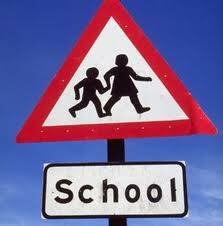 But they need to ensure there are schools to meet the needs of Suffolk's changing populations. And practical circumstances, not ideology, should determine what kind of school should be built with the LA retaining the right to open schools where necessary. In some areas there are ageing populations. It would make more sense, to be honest, to turn Stoke by Nayland Middle school into a care home rather than a secondary school. That's what is needed. And in the Moreton Hall area in Bury St Edmunds there has been considerable housing development and there is space to build a new secondary school but if the free school in Ixworth goes ahead this may not be viable as it is only some four miles to Thurston from the proposed school site and just about seven miles to Ixworth. The County Council know all this. They own land there expressly to build a school. The DfE probably do not have a clue and why would they? It is clearly the availability of Middle School sites that has caused the glut of free schools proposed for Suffolk with parental demand to save the middle schools in some cases appearing to be deliberately manipulated to show a demand for free schools that doesn't exist. In Beccles some 530 people "expressed an interest" in a free school but this lead to just over 80 actual applications. Far from promising innovation many of the schools proposed with their narrow curriculum and "grammar school" ethos are very similar. They are almost premised on not being innovative. Personally I think there is a place for free schools as part of the overall education system but it is a nonsense to make all schools free schools or even as now all new schools. Free schools should in my view be opportunities to genuinely do something different. It should not be necessary for a group of parents to campaign for a free school because of insufficient school places in an area. The LA should meet basic demand. Free schools school be able to do something different, to add an extra real choice. In fairness the IES Breckland school at least looks to be doing this to some extent. It will be interesting to see if their approach "translates" from Sweden! So far too many of the applications appear to be using their freedom to be the same!